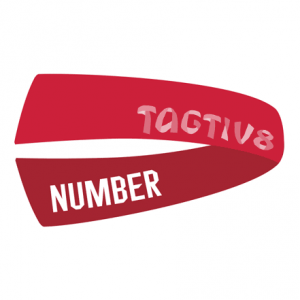 November has been an extremely busy month for Tagtiv8. We have been lucky enough to work & play with some inspirational schools, teachers and learners this month. We have visited some amazing places, including our debut active learning venture into Ireland. However, we would like to dedicate this blog post to a fantastic school that really has inspired us. 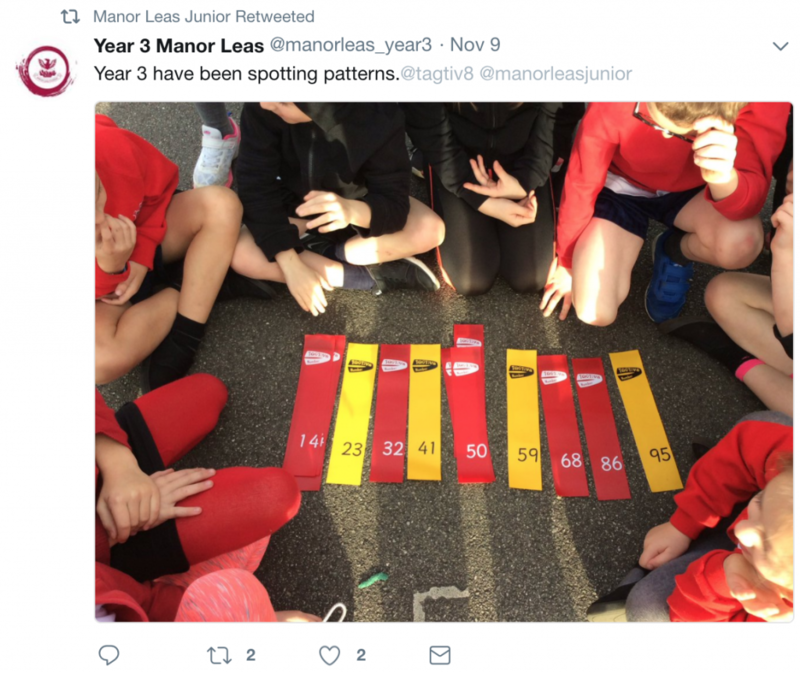 Manor Leas Junior School in Lincoln has stolen the spotlight for November by being so dedicated to active learning and implementing the Tagtiv8 resources in effective ways. After a long drive, we received the warmest welcome and the enthusiasm from the whole school was invigorating. 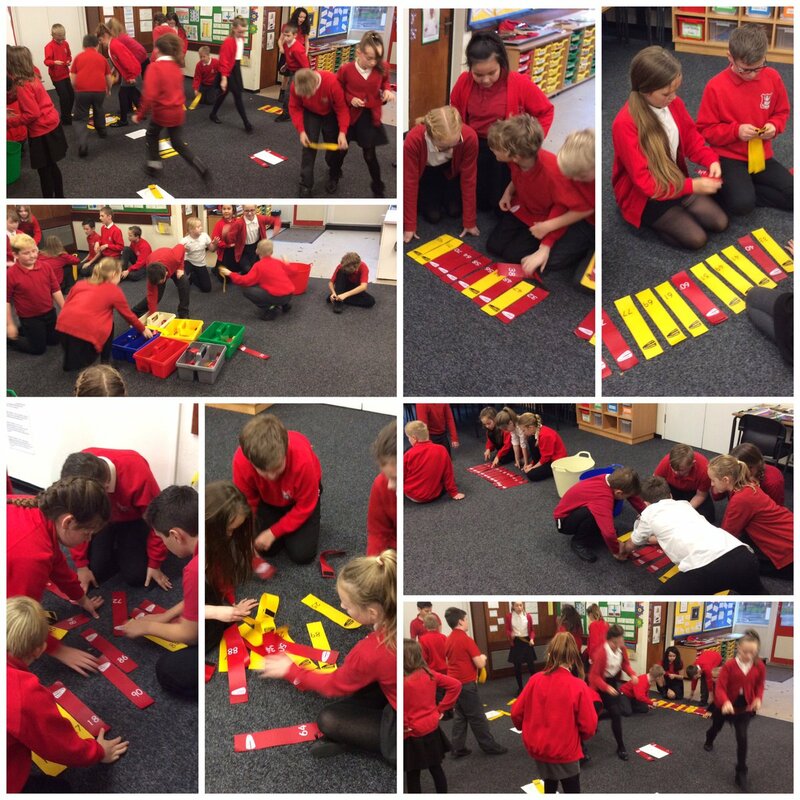 The children really got stuck into the games and quickly grasped the active learning approaches. The games have impacted across the school since the teachers threw themselves into our CPD training. However, is that really such a surprise when the school is already an advocate of Active Learning? 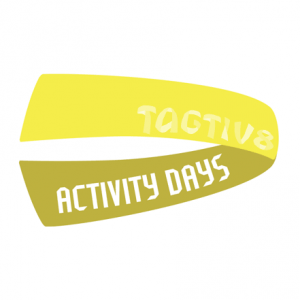 Their website shows how much emphasis they put on being physically active, with a varied range of after-school sports clubs, lunchtime sports clubs, tournaments, PE lessons – and much much more. It’s hard to imagine that the teachers and students actually sit down during the school day. 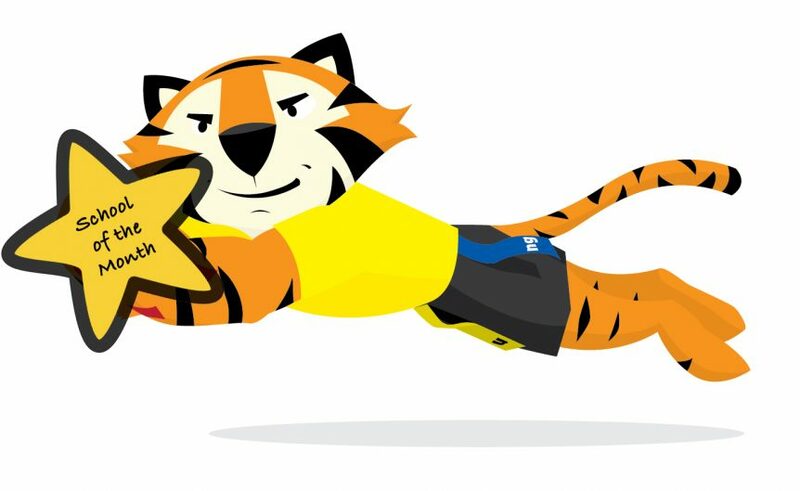 And if they do manage to sit down, they are working with amazing resources such as Pobble. It was also great to see other friends of ours, Now>Press>Play and Class Dojo featuring as key elements within the school. 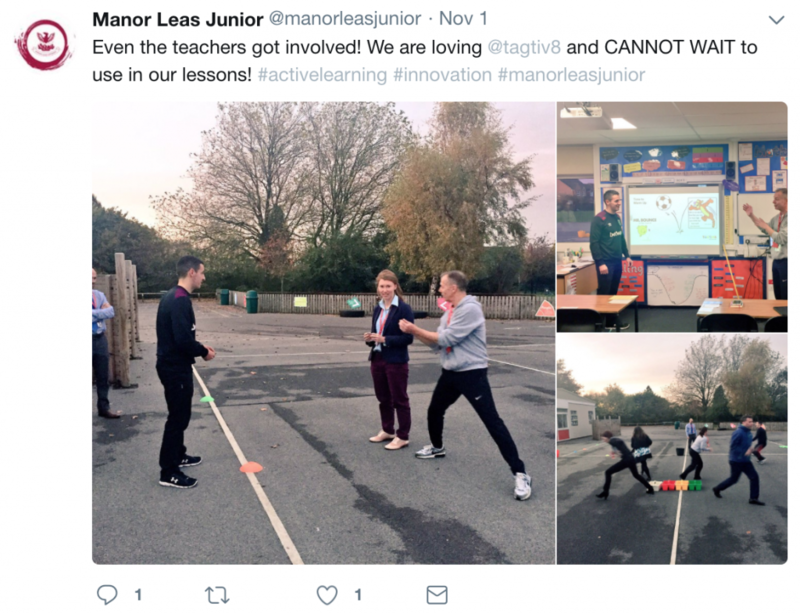 Since our visit, Manor Leas Junior School has shared some amazing pictures via twitter when playing our Tagtiv8 games. 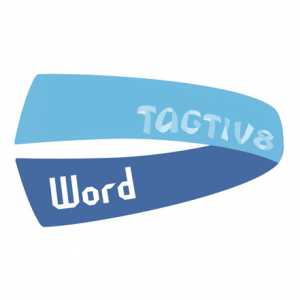 It’s clear to see that Manor Leas Junior School students love playing Tagtiv8 games just as much as we do. The emphasis that the school puts on active learning is truly inspirational. This is why we choose Manor Leas Junior School as our School of The Month. Thank you to Manor Leas Junior School for having us and letting us work/play with you. 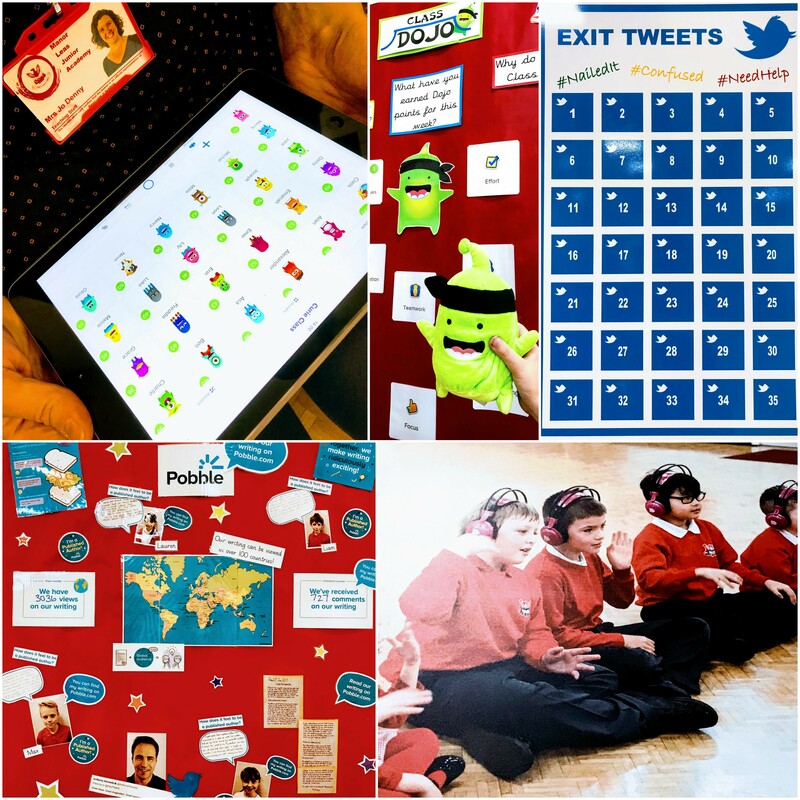 We enjoyed our time with you and we can’t wait to see more pictures and learn about how you are embedding active learning into your everyday school life.